There are a many technical analysis models out there that claim to have found a way of predicting order within financial charts. Elliott’s wave theory is one of them. Elliott wave theory was developed by Ralph Nelson Elliott in the middle of the last century. After studying many stock charts, Elliott noticed that price trends don’t progress in straight lines, but rather they evolve as a series of steps. Often 3 steps forward, in the direction of the trend and 2 steps back. Elliott assumed these movements to be driven by human emotion, such as fear and greed. Understanding how trends form is obviously vital if you want to time entry and exit points for buying and selling. This makes Elliott theory an interesting model and it’s what we’ll look at here. Elliott’s wave theory is all about timing: timing of market cycles. Elliott said that far from being random, the trends in financial markets are driven by a predictable rhythm of human behavior. He called these waves, hence the name Elliott wave theory. Elliott’s main idea was that during trending phases the crowd psychology is shifting back and forth between optimism and pessimism and that a trend will ultimately push in one dominant direction. In a bullish trend, the impulse direction is upwards, and the corrective direction is downwards. In a bearish trend it’s the other way around. A bullish cycle is shown in Figure 1 and a bearish cycle in Figure 2. Elliott rightly identified that a trend rarely moves in a straight line but more often in steps: 3 steps forwards to 2 steps back. This is the main cycle. In any Elliott cycle, there’s always an impulsive or motive wave followed by a corrective wave in the opposite direction. The corrective wave is always smaller than the impulsive meaning the price pushes toward the dominant direction of the trend. 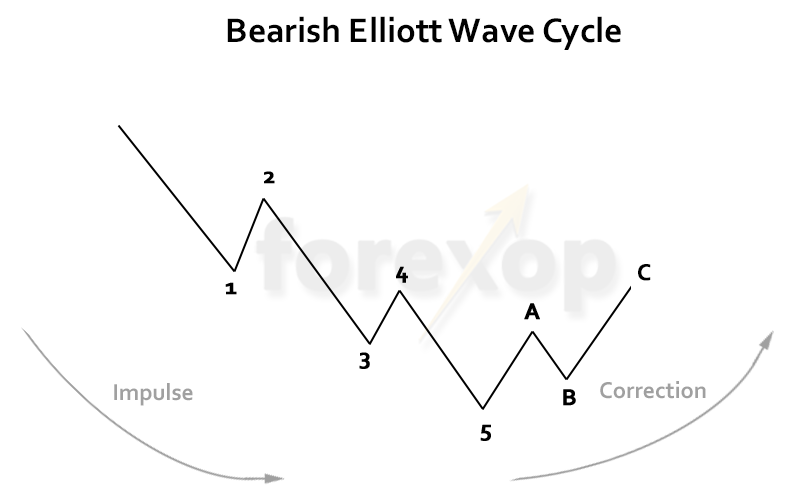 A cycle can be broken down further into a 5-wave and 3-wave pattern. Bullish impulses have 5 waves: 3 waves up and 2 waves down. 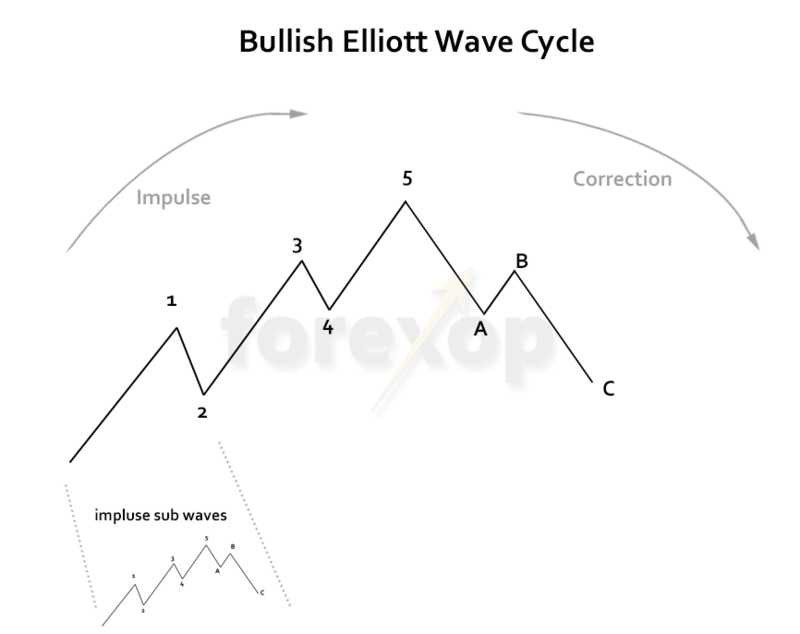 Bullish corrections have 3 waves – 2 down and 1 up. So an impulse is made up of five separate sub waves from peak to trough, known as waves 1-5. And the corrective is made up of 3 sub waves, known as A-C. Figure 1 for instance shows a complete bullish wave cycle. This shows the main impulse wave of 5 distinct sub waves. Waves 1, 3 and 5 are bullish impulse waves whereas waves 2 and 5 are the corrective waves within the main impulse. In the main corrective wave, wave A and C are impulse waves (in the reverse direction), and wave B is a corrective wave. An important aspect of Elliott wave theory is that the structure repeats itself at any scale, larger or smaller. Fractals are self-repeating patterns that are commonly found in nature. Examples of fractal patterns are the branches of a tree or the edge of a coastline. The fractal property means that although each pattern is random, the basic structures of the patterns look the same at any scale. Financial markets have fractal like properties. The patterns of trends and corrections in charts have a very similar appearance whether looking at an hourly or a monthly chart. Ed Peters called this the Fractal Market Hypothesis. The FMH states that this property is due to investors with similar motivations but having different time horizons. The time horizons vary from very short term traders to long term investors. One of the implications of the FMH is that this diversity of agents with different time horizons is essential in maintaining the liquidity and the stability of a market. When this diversity breaks down or is lacking, the market become unstable. The rival Efficient Market Hypothesis (EMH) has long been criticized as inadequate at modelling these kinds of extreme events. This is known as the fractal property or self-repeating structure and is prevalent in all financial markets. Even though not identical, the structural patterns of a chart are similar at any scale. That means in Figure 1, wave 1-2 is itself a complete Elliott cycle. And this can be broken down into impulse and a correction. This is shown in the small frame of the same diagram. When the structure of the corrective wave part A-B in Figure 1 is zoomed in, Elliott theory says it should resemble the pattern shown in Figure 2. This is a full bearish Elliott cycle, comprising a bearish impulse wave 1-5 and a bullish corrective wave A-C. This isn’t a full examination of the Elliott wave principle by any means but it explains the most important main parts. The Elliott wave principle provides a clean explanation for how trends should behave and probably do behave on average. The problem is that applying this in real charts is anything but easy. To begin with, you need to identify the points in the chart that correspond to the Elliott wave patterns. From that template pattern, you can then begin to trace where the next market turning points might be. The easiest way to do this is to work backwards on the chart. Then start by marking off the local highs and lows in each section of the chart as in Figure 3. Useful helpers for Elliott wave analysis are the zigzag filter and a trend line drawer. Figure 3 shows an example of a complete Elliott cycle. The primary trend is bearish and this is the main impulse wave in our Elliott analysis. The waves in this bearish impulse (motive) are numbered 1-5 in green. Wave 4 in this main cycle is a bullish corrective wave. If this wave is broken down at a finer scale we can then apply Elliott analysis to this as well. By looking at wave 4, this wave is made up of a 5-3 group of waves. Again this consists of a bullish impulse (a sub impulse within the main trend) that is labelled 1-5 in black. This bullish impulse has its own corrective wave and that’s labelled A-C in black. This activity is going on within the overall bearish trend. This bullish sub trend is no more than a moderate price movement within the primary bearish trend. Notice that wave 5 in the primary trend takes the price lower again and below the point of the start of the bullish sub wave. Of course the final aim is to locate where the market is now, within the current Elliott cycle. From that, you can then start to forecast how the trend is likely to develop. There will always be cycles which are just starting or haven’t yet completed. Part of Elliott analysis is breaking up the chart to identify these critical turning points. From that you can aim to identify the dominant trends and the sub trends. Elliott wave technicians or Elliotticians as they are known, go much further. They treat each wave within the Elliott cycle as having its own personality. This personality arises from the time horizon of the dominant agents that are active in that wave. For example if they’re accumulating, profit taking or loss making. This is explained in the table below. If this sounds a little confusing, don’t worry. Elliott wave analysis is not an exact science but rather an art. It takes a great deal of trial and error to become proficient at Elliott analysis. Does Elliott Wave Analysis Work? Elliott wave analysis can help you to understand market cycles and sometimes predict what’s going to happen next. It does require a great deal of intuition as rarely if ever do charts display the exact structure that’s predicted by the theory. Above all it’s important to remember that Elliott wave theory is just a model that tells us the typical evolution of a trend. That’s not to say every trend will develop that way. Trends will more often than not have wave counts that don’t match the theory at all. Like Fibonacci theory, Elliott wave theory simply tells us what to expect. The problem is markets often do the unexpected. 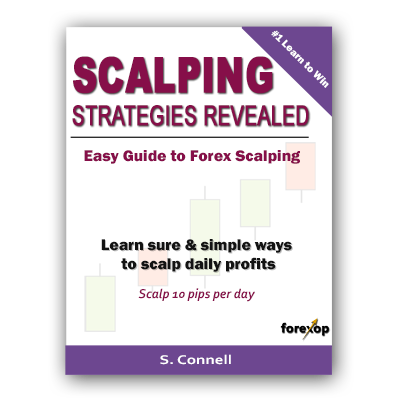 To this day Elliott’s theory has a loyal following of practitioners and students and many claim to have devised profitable strategies using these principles. Is this a relatively new way to read trade patterns? Using tools like this helps to better evaluate possible profit. I already have heard a lot of buzz about Elliott Wave Theory and I used to consider it complex, until I read this article. Because Elliott’s description on timing of market cycles is purely based on human behavior, it generates workable data most of the times. Though, we can’t fully depend on this data, but it definitely gives us a gist about upcoming trends. Thank you for sharing your knowledge with us!